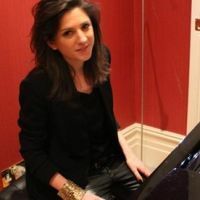 Additional Info: Celine Gaurier-Joubert attended the Ecole Normale de Musique de Paris for several years, where she was trained and mentored under the late Edson Elias in Paris, who won several international competitions and was world-renowned for his exceptional teaching and performing skills. Even though Celine is a virtuoso pianist herself, she decided to offer her knowledge (obtained through decades of piano study) to adults across London and the UK due to her musical background and love for adults who play music for their own pleasure. This deep love for amateur musicians was the result of her parents passion and relentless dedication towards classical music. Celine’s father is an amateur violinist and her mother an amateur cellist who performs in various non-professional orchestras in France. From a young age she was exposed to music and quickly developed keen ear for classical music. From time to time her parents organised concerts in their beautiful country house in France where people came from all over town to listen to Celine perform. She also often performed in various venues with her father around France. At times she performed with her sister (a professional cellist) in various professional settings around Europe. It is this deep love for music and the fact that she understood the profound impact that music had on her parents that she decided to offer piano tuition specifically for adults who play for their own pleasure. Hence, she founded the London Piano Institute. At the London Piano Institute concerts get arranged periodically and students enjoy a terrific evening where they can have the opportunity to perform. Students come from all over the UK and abroad to London Piano Institute to learn from the adult piano pedagogue Celine Joubert including – medical practitioners, chief executives, architects, artists, writers, investment bankers, diplomats, accountants, pilots, brokers, solicitors, barristers, judges, IT consultants, entrepreneurs, film directors, analysts, purchasing managers, mathematicians, broadcasters, news reporters, retirees, business statisticians, real estate investors and more. Teaching fees from £75 per half hour depending upon regularity and schedule.